Who ever said Anawangin Cove is one of a kind? Well, it is! 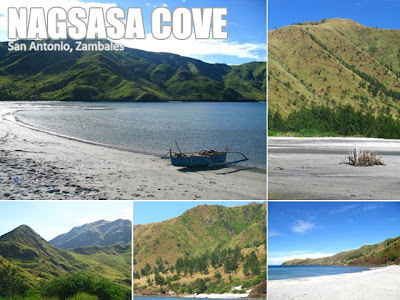 But Nagsasa Cove is most definitely in the same league! Just 20 minutes further down from Anawangin Cove, Nagsasa is one amazing beach! Just like Anawangin, it's perfect for camping and it doesn't get too many visitors. It's a beach that was created by the Mt. Pinatubo eruption when volcanic material found its way to Nagsasa. 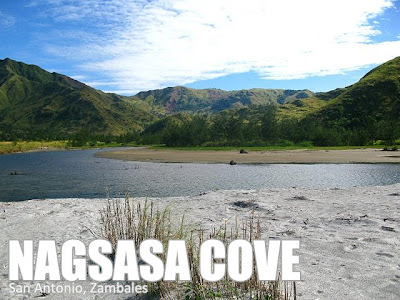 At the same time, Nagsasa Cove is home to an Ayta community which relocated there. There are about four picnic tables but that's just about it. 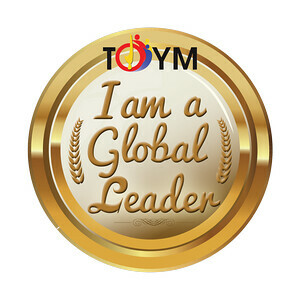 You might want to opt to share a meal with the Ayta community and request them to fish dinner for you. It's the same jump-off point as Anawangin in Pundaquit, San Antonio, Zambales. Just tell the boatman to bring you to Nagsasa Cove. Thanks to Ryan Guzman for the photos. He's organizing a group camping tour to Nagsasa from February 21 to 22. You can text him at (0928) 9067151 for details. Here's information on Anawangin Cove and Capones Island. The jump-off point for all these wonderful places is in Pundaquit Beach. Here's another tour on February 21, an adventure day tour of the Seven Lakes of San Pablo, Laguna. Maximum of 14 participants. The PHP1,600 tour fee covers transportation and toll expenses, entrance fees, a lakeside lunch beside Sampaloc Lake, and some local delicacies as pasalubong. E-mail info@pinoymountaineer.com to book. hey, ivan, glad to have met up last saturday at the hcs conference. thanks for the tips you gave on pundakit climb and anawangin. the best! and now another one! wow! hey ivan!! thanks for another plug!! join us if you can on these dates!! Thanks for this Ivan. Dito ko rin nalaman yung Anawangin. hi ivan, very informative site! i am excited for our trip. we will be there april 17-18. anyone who can help us find a boat to ride from pundakit shores to nagsasa cove, then capones and camara islands to anawangin cove for an overnight camp. we are 9-12 persons. thanks! CAN'T WAIT TO GO THERE WITH MY FRIENDS, REALLY CAN'T WAIT FOR NEXT MONTH. . .
Possible ba mag punta dito just for a whole day trip? para sa ibang katanungan po..
hi IVAN...my friends and i were planning to go anawangin cove on the last week of april..i just wanted to ask like how far is nagsasa cove from anawangin? and i heard na to avoid crowdedness ideal ang nagsasa..and were all from manila- how do we get there? salamat..
come and visit our place here in pundakit zambales, i am sure you will love this place.. we are offering a great tour packages.. for more information you may call 09077941862 / 09185293929 / 09303664370 & look for ROMEL "BORNOK" PELAGIO or you may visit our site www.pundakit-treasures.simplesite.com for complete list of packages.. thanks & god bless.. enjoy!!!! *****P1500/head minimum of 12pax and above..
-cooler na with ice pa! P 700 per head for 10 pax AND ABOVE.